Jaipur is the largest city in Rajasthan and was built in the eighteenth century by Sawai Jai Singh as India’s first planned city. Jaipur is a major tourist attraction amongst Indian as well as international travellers. It belongs to the tourist Golden Triangle of Delhi, Jaipur and Agra. It hosts several attractions like the City Palace, Govind Dev ji Temple, Vidhan Sabha, Birla Temple, several massive Rajput forts and so on. It also serves as a stepping stone for travelers heading to the desert cities of Jodhpur and Jaisalmer. Jaipur is often called the Pink City in reference to its distinctly colored buildings, which were originally painted this color to imitate the red sandstone architecture of Maugham cities. The present earthy red color originates from repainting of the buildings undertaken for a visit by the Prince of Wales in 1876. During the rule of Sawai Ram Singh I, the city was painted pink to welcome the Prince of Wales, later Edward VII, in 1876. Many of the avenues remained painted in pink, giving Jaipur a distinctive appearance and the epithet Pink city. In the 19th century, the city grew rapidly and by 1900 it had a population of 160,000. The wide boulevards were paved and its chief industries were the working of metals and marble, fostered by a school of art founded in 1868. The city had three colleges, including a Sanskrit college (1865) and a girls’ school (1867) opened during the reign of the Maharaja Ram Singh II. Elephant Festival (Mar): The Elephant Festival is an inimitable event held annually in Jaipur. Groomed flawlessly, rows of elephants do a catwalk before an enthralled audience liked best fashion models to make this festival an amazing one. Gangaur Festival (Mar-Apr): The Gangaur Festival is the colourful and most important local festival of Rajasthan and is observed throughout the State with great fervour and devotion by womenfolk who worship Gauri, the consort of Lord Shiva during July-Aug. It is the celebration of monsoon, harvest and marital fidelity in Jaipur. Gan is a synonym for Shiva and Gaur, which stands for Gauri or Parvati who symbolises saubhagya (marital bliss). Gauri is the embodiment of perfection and conjugal love which is why the unmarried women worship her for being blessed with good husbands, while married women do so for the welfare, health and long life of their spouses and a happy married life. Teej Festival (Aug): Teej is the festival of swings. It marks the advent of the monsoon month of Shravan (August). The monsoon rains fall on the parched land and the pleasing scent of the wet soil rises into the air. Swings are hung from trees and decorated with flowers. Young girls and women dressed in green clothes sing songs in celebration of the advent of the monsoon. This festival is dedicated to the Goddess Parvati, commemorating her union with Lord Shiva. Kite Festival, Jaipur: From royal splendour to riotous egalitarianism , 14 January is celebrated in India as Makar Sankranti – heralding the transition of the sun into the Northern hemisphere. In Jaipur Kites virtually blot out the sky. Everyone joins in this riotous celebration and shouts of “Woh Kata Hai!” reverberate from rooftops to the accompaniment of drums as adversary’s kites are cut down. Amber Fort, (11 km North of central Jaipur) 08:00-17:30. This massive fort-palace complex built in hybrid Hindu-Muslim style dates back to Raja Man Singh and was the royal palace of the Kachwahas from c. 1600-1727. The name has nothing to do with the rather pretty pastel yellow colour; instead, the fort is named after the town of Amber, in turn named after the goddess Amba. The main sights within the fort include the Sheesh Mahal, adorned with thousands on thousands of mirror tiles on the walls and ceiling. The fort/palace grounds are sprawling and the information panels (hindi/english) are somewhat limited, so it might be worth getting an audio guide or a real guide. The real guide will cost about Rs 70-100 and will also take you to the Rajasthan Kala Mandir (a government operated shop) to buy souvenirs. The guide gets a 2% commission on the items you buy. Also see the Amber Light Show below. It’s a bit of a hike up to the fort from the town, but resist the temptation to take an elephant ride to the top. Elephant rides are cruel to the animals and they are often treated very poorly by their keepers, so it’s best not to encourage the practice. Jaigarh Fort, (A 1 km walk uphill from “Amber Fort”) 09:00-16:30. Never conquered in battle, this was considered the strongest of the three forts in the area. It is best known as the site of the world’s largest cannon, the Jaivana, which was test-fired only once — according to legend, despite using only the half the design amount of gunpowder, the cannonball flew 35 km! A better reason to visit the fort, though, are the scenic gardens at the other end and the spectacular views over the Amber Fort and the hills around. The remains of the foundry where the Jaivana (and many more) were cast are also in the fort grounds. Please note, there are multiple board with “no tips allowed” if you have someone bothering you. Nahargarh Fort, the smallest of the three forts, notable primarily for excellent views over Man Sagar lake and the vast sprawl of Jaipur. The fort also houses the (relatively) compact Madhavendra Bhawan palace, although its former splendour is fading fast under a new layer of graffiti and pigeon droppings. 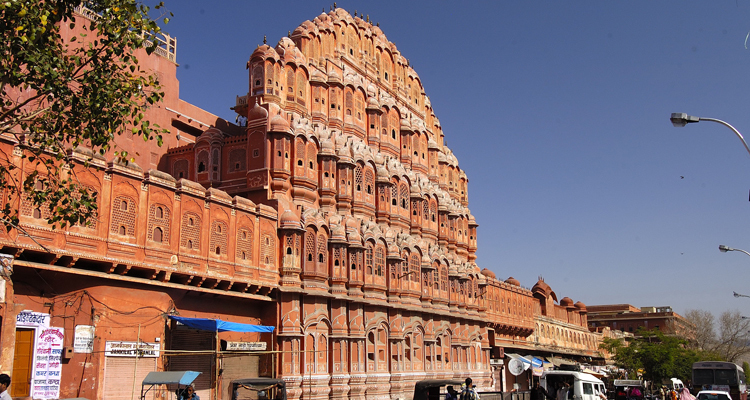 City Palace, (Inside the old city, close to New Gate and Hawa Mahal). An imposing blend of traditional Rajput and Mughal architecture. It is a vast palace complex occupying nearly one-seventh of the Pink City. It was originally built by Maharaja Jai Singh II. The complex is divided into a series of courtyards, sprawling gardens and buildings. It is home to several palatial structures like the Chandra Mahal, (home to present Maharajah of Jaipur), Mubarak Mahal (housing a textile museum), Diwan-e-Khas (or Hall of Private audience housing the two largest silver vessels in the world, which are duly mentioned in the Guinness book), the Diwan-e-Aam ( or Hall of Public Audience) and the gateway Ridhi Sidhi Pol (with four small doorways decorated with motifs depicting the four seasons). Foreigner: rs 500; valid for 2 days, includes entrance to Jaigarh Fort and Royal Cenotaphs, does not include entrance to Chandra Mahal. Jal Mahal (Water Palace), (On the way to Sisodia Rani Garden). A Rajput style architectured palace sits in the center of the Maan-sarovar lake. The lake is often dry in the winter, but summer monsoons frequently turn it into a beautiful lake filled with water hyacinths. Free on the 18th of May, as well as the Observatory and wind palace. Govind Devji Temple: For Vaishnavites, particularly followers of Lord Krishna, this is the most important temple in the world after Vrindavan. Lord Krishna presiding in the temple were brought to Jaipur from Vrindavan during Mughal rein. According to popular legend, Lord Krishna’s idol in the temple looks exactly like Krishna’s form while his incarnation of Earth. It is located at Jainiwas Gardens, Jalebi Chowk, in the same campus as City Palace. Moti Doongari Temple is located in the center of Jaipur city. This Temple is the main center of religion for Jaipur people. Moti Dungri is basically a small hill, which means Pearl Hill. There is a Temple and a Palace on this hill. Moti Dungri temple is dedicated to Lord Ganesha and it is said that at the time of building this city, this temple was constructed first to protect the city. Lakshmi Narayan Temple (aka The Marble Temple) (Birla Temple), (below the well known Moti Dungri fort). is a relatively new temple made of white marble with beautiful carvings. It covers a vast area in Jaipur city and is built in a contemporary manner. Birla Temple is completely constructed with finest high quality white marbles. Jain Mandir (Shivdas Pura) 15-16 km from Jaipur, is a Jain temple in Shivdaspura and is well known as “Bara Padampura”. This temple comes under district Jaipur. Temple is a unique place of miracles and is famous in north India for its very beautiful statue of God Padamprabhu (The 6th Teerthankar for Jain’s). God is sitting in a crossed leg seating posture. Height of the statue is 2 ft 4″ and statue is made of pure white stone. Statue was appeared while digging for foundation of a house. Galtaji is an ancient Hindu pilgrimage site situated 10 km from Jaipur on Jaipur-Agra highway near Sisodia Rani Garden. The main temple here is temple of Galtaji in constructed in pink stone. The temple has a number of pavilions with rounded roofs, exquisitely carved pillars and painted walls. The temple is surrounded by natural springs and reservoirs that are considered holy .There are also seven tanks or kunds here. Galwh Bagh (aka The Monkey Temple) and Suriya Mandir (aka The Sun Temple) are located on the Eastern edge of the city. Both locals and tourists come here to feed the surprisingly tame monkeys, use the temples, and enjoy the views. You can climb to the top of the hill and then down into the valley to see the Monkey Temple, all the while enjoying the company of countless monkeys, goats, and other animals. At the top of the hill, you turn right to reach the Sun Temple for one of the best views of the city, especially at sunset. Monkey food is available for purchase at the bottom of the hill. The Temples are free, but local religious people may ask for donations (optional) and there is a Rs 50 charge for using a camera. Jaipur Wax Museum, (Standing on the edge of the Aravalli Hills, overlooking the pink city of Jaipur). To be opened soon. Wax & Silicon figures of famous Indian & World personalities, which are being sculpted, by India’s maiden & senior most wax sculptor artist Mr. Susanta Ray, would be displayed in Shastragar & Vishramghar areas of the fort. Jaipur Wax museum would be providing a great opportunity to the patrons visiting the museum, to have a closer look of their favorite stars from the fields of Bollywood, Hollywood, Sports, History, Music, Literature, World Leaders, Pop stars, Cultural figures and famous persons from History, Politics and Contemporary fields. An unique attraction of Jaipur Wax Museum would be a Royal Statue section, which would showcase real life size wax & silicon figures of ‘The Maharaja’s & The Maharani’s’ of Jaipur & Rajasthan, thereby giving a first of its kind opportunity to the world to have a glimpse of the majestic figures. The statues will have a unique background & surroundings, complimenting each figure & would enhance the look of it. An interactive area is proposed to be landscaped outside the venue, surrounding the museum. Jaipur Airport is located near Sanganer at a distance of 13 kms from the city of Jaipur. Many domestic airlines connect the city to all the major cities of India including Udaipur and Jodhpur as well. Flights for Delhi and Mumbai run on a regular basis. The airport has been granted the status of an international airport and connects to the foreign cities like Sharjaha and Muscat too. Jaipur is well connected by road to major cities in India. Excellent road network serves people to enjoy a comfortable journey to and from Jaipur. 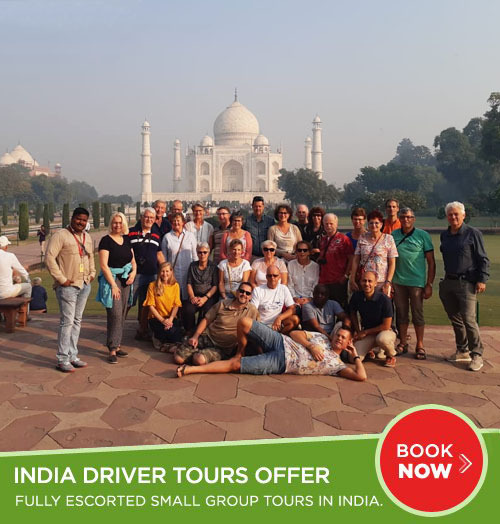 This mode of traveling is quite easy and comparatively cheap. Regular bus services from nearby cities connect Jaipur to the other cities. Deluxe Buses, AC coaches and Government buses are available for the convenience of the passengers.